December is a month of celebrating the meaning and magic of Christmas for many of us. Whether you celebrate Christmas, another holiday, or none at all, we hope this greeting brings you joy and happiness as 2013 comes to an end. 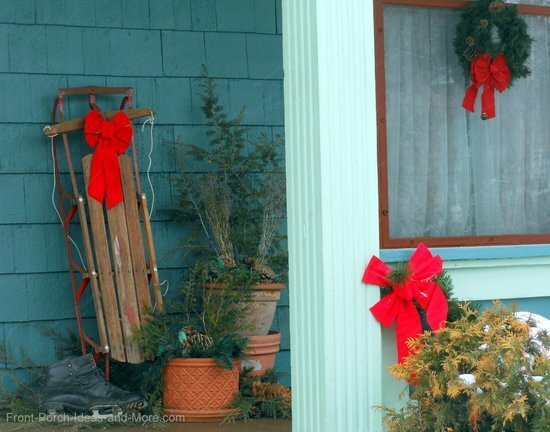 December is also a month of decorating porches with magical twinkly lights, fresh evergreens, and vintage sleds paired with ice skates. 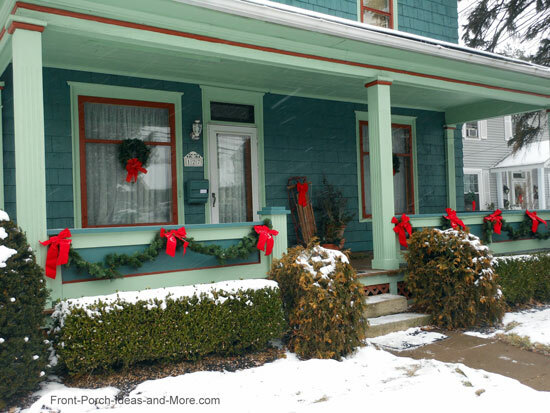 Are you decorating your porch this season or simply enjoying the sights and sounds in your town? As we gather to celebrate Christmas and the New Year, Dave and I also remember those who are in strife or missing loved ones. From our porch to yours, may you enjoy a wonderful Christmas. We are very grateful for you. 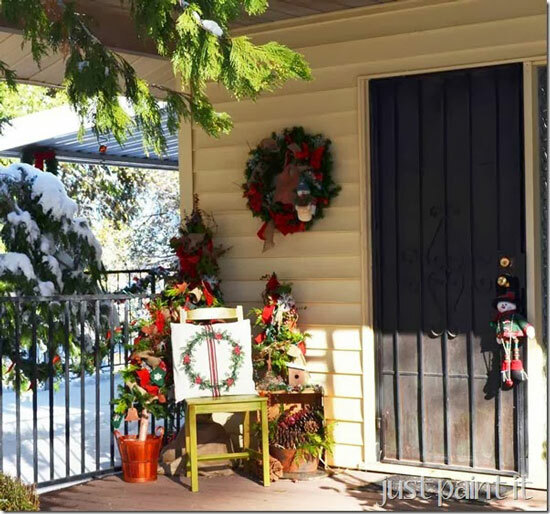 Enjoy our Christmas porch pictures along with our bonus feature, a wonderful Foursquare home in Westerville, Ohio. 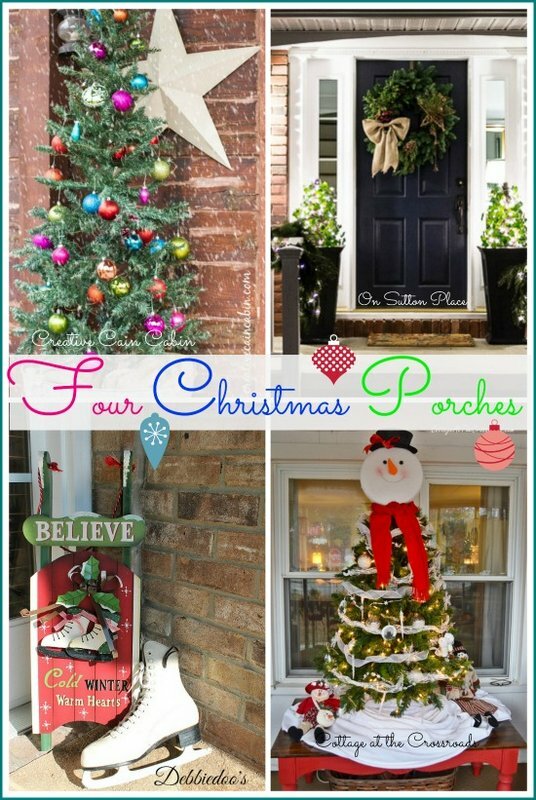 We are pleased to share Christmas porch pictures from our featured bloggers this month. 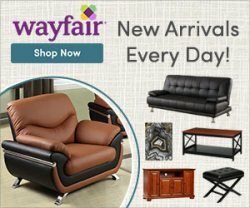 From whimsical and sparkly to natural and vintage, we know you will enjoy these. 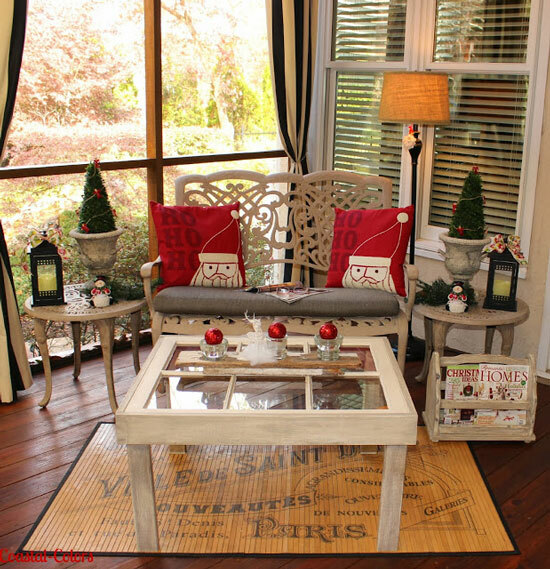 Stop by Kelly's classic yet vintage front porch. It's beautifully decorated with natural elements, a little retro and some pops of red. Plum Doodles trademark color is purple. Enjoy more of Sheila's porch. 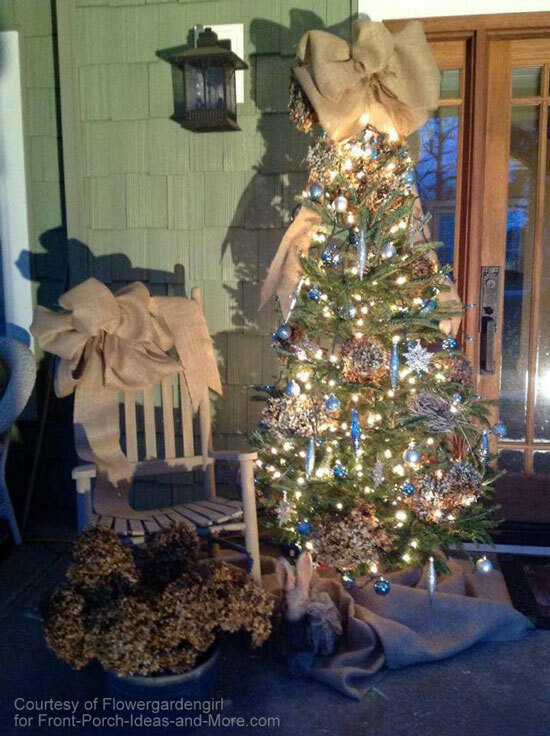 A sweet trio of trees on Colleen's porch (Just Paint It) We show you how she put it all together. 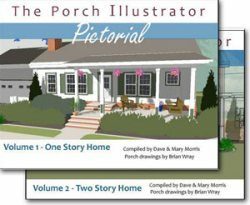 Jane and Leo (Cottage at the Crossroads), Debbie (Debbie Doo's), Dawn (Creative Cain Cabin) and Ann (On Sutton Place) share their festive porches with us. 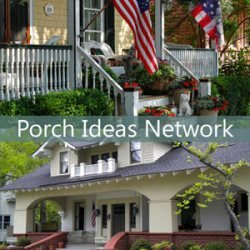 From bright and sparkly to natural and whimsical, see all four porches. 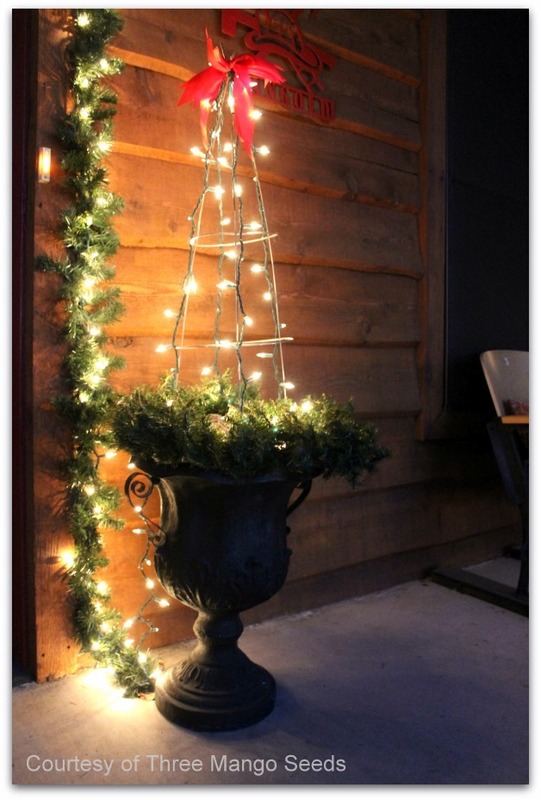 Clydia made this "Christmas tree" from a tomato cage. You will enjoy the cabin-like setting of her home. Dave and I chanced upon this stunning 1904 home on our recent visit to Westerville, Ohio. And it was even snowing. 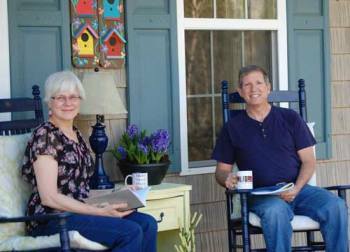 I had the pleasure of meeting the homeowners, Doris and Len. We are very appreciative they shared these details with us. 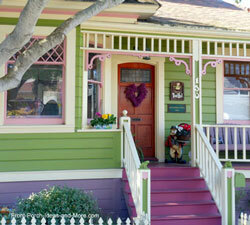 "Our Foursquare home features a walk-up attic that still has the original Arts and Craft style carpet. Our home was built with the typical cellar in the early 1900's: a dirt floor with a coal bin in one corner where the coal was delivered to the home. At that time the home's bedrooms would not have been heated. Tucked into the rafters in the cellar is a small gas tank we believed was used for the very modern (for its time) gas stove. We do not know for sure but suspect the lumber and everything needed to build the home was shipped to Westerville by rail and horse and wagon carried it down State Street to our lot. At that time it was possible to buy a home from Sears and Roebuck with everything packaged and shipped to the buyer. In reviewing the original mortgage papers we were surprised to learn the interest rate was at 9.25%. An additional fun fact is we are guaranteed wagon rights across our neighbor's yard to the side street. We are the second non-family member to have owned the home since it was built. 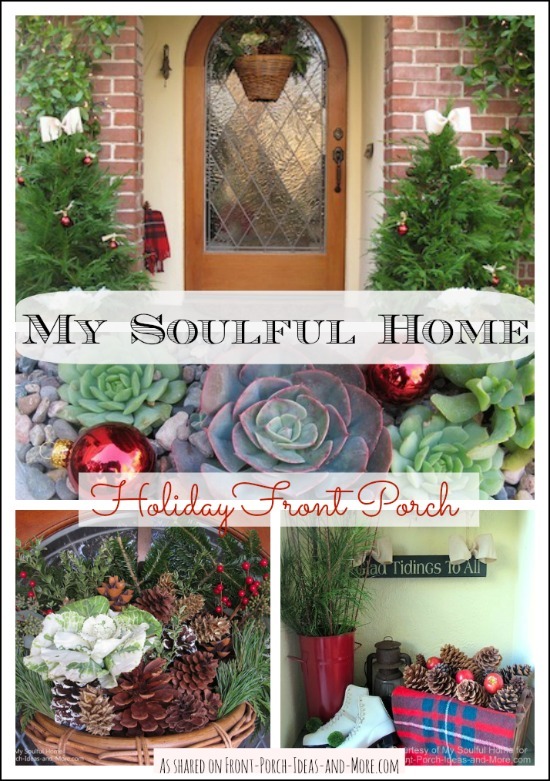 We love our front porch and use it often in the summer. The Westerville July 4th parade goes passed our home and we always have a crowd of friends and family taking advantage of the front row seat. The kids sit on the curb and claim all of the candy and goodies thrown their way and the adults cheer and wave to the parade participants while sitting in the shade on the porch. We moved in on Labor Day in 1990. We loved the old house character with so much woodwork and the details throughout the home. We realized to bring out its beauty we would need to strip and clean the woodwork which was originally covered with shellac and had turned into a black cracked surface. It was great no one had ever painted the wood. 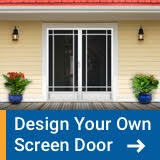 The home has a warm, welcoming tone now with the traditional door, window and baseboard trim including the pocket doors leading into the front room finished in a honey maple tone. Thankfully the previous owner had updated the electrical and plumbing systems allowing us to focus on cosmetic features such as the beautiful trim around the windows and doors." 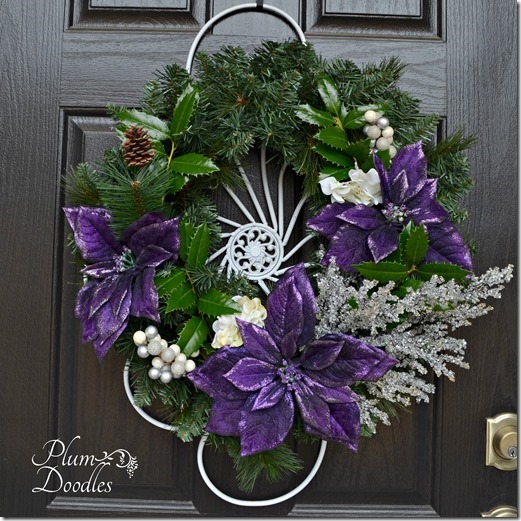 What a lovely winter vignette this is! Our special thanks to Doris and Len. 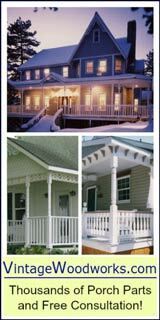 See what's on sale: Porch parts (such as balusters, posts, and brackets), screen doors, components for decks, gable decorations and lots more exterior items. 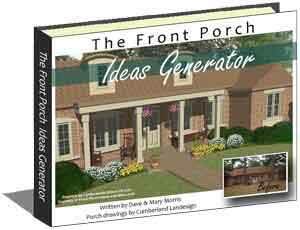 Just click on the ad above and use the special code of FP20 just for readers of Front Porch Ideas and More. 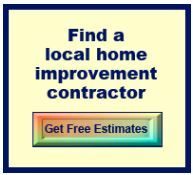 This special code gives you a lower minimum of $850. Good through December 20, 2013. 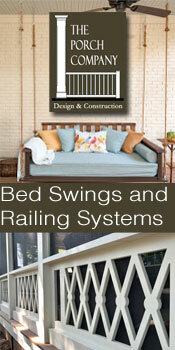 A thoughtful gift idea for someone special: an adjustable porch swing bed by The Porch Company.